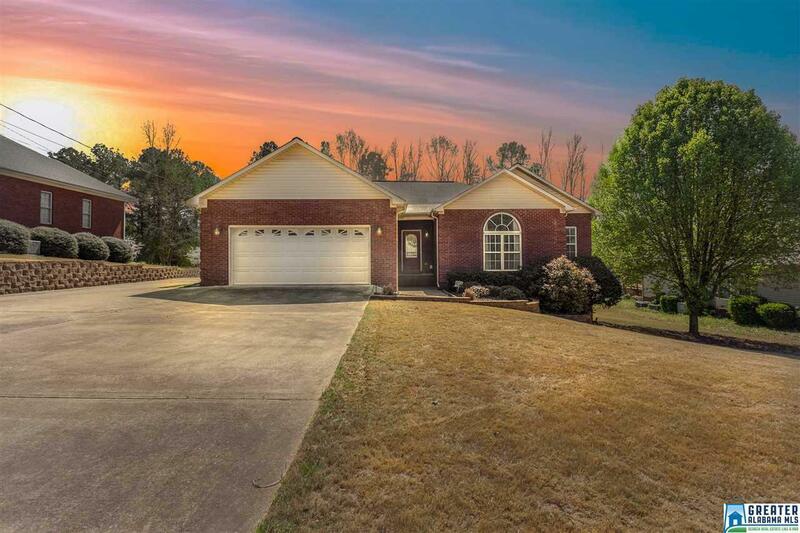 Check out the unbelievable outdoor living you can have with this 4 bedroom 2.5 bath home located in the Hidden Creek subdivision! Just in time for Summer, this home features approximately 2100 sq. ft. on one level and has been updated throughout to include: Master suite with imported tiled shower, floating tub, dual vanities and walk-in closet, new hand scraped hardwood flooring, new carpet, new grey paint, outdoor half bath for the pool, granite countertops and stainless appliances in the kitchen. Exterior features include: 2 car garage and also a detached 2 car detached garage perfect for storing all of your toys, gorgeous custom pool with cool touch stamped concrete surround, custom made outdoor pavilion constructed of Douglas Fir that&apos;s wonderful for entertaining and grilling with family and friends. Located just minutes away from Choccolocco Park and the Oxford Exchange, this home is a must see! 1 Year Homewarranty is included. Driving Directions: Cheaha Dr., Turn Left On County Line Rd., Turn On Lark, Left Into Hidden Creek, Home On The Right.